Coin collecting is among the earliest forms of collecting dating back to Ancient Rome; it is only fitting that it be paired with one of the earliest forms of selling goods and services. Today coins are among the top grossing items sold at public auction in the U.S. and around the world. 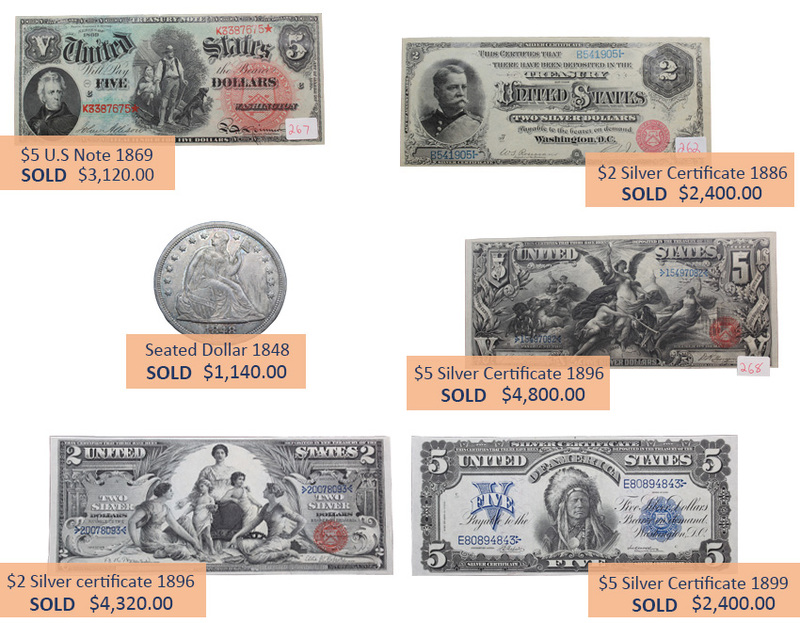 Alderfer Auction sells a variety of coins and currency from collections and estates. The collector/investor market places worth on the numismatic value of the coins or currency in addition to the gold or silver value. The value of coins and currency is based on its condition, minting, production limits and survivorship. Alderfer Auction carefully reviews each coin to determine its market value at auction. Frequently, coins are sold as individual items while others may be lotted to appeal to the particular market. These are some of the many benefits of selling coins at auction including quality of merchandise, exposure through mass media marketing, diversity of buyers through simulcast auctions and reputation. Alderfer Auction offers buyers a pre-auction preview for discriminating collectors to evaluate and discern the purchases. Considering selling? Contact Alderfer Auction for a confidential consultation by emailing, info@AlderferAuction.com or call 215.393.3000.